For those head-scratching, hard-to-diagnose cases, Figure 1 allows doctors around the world to upload deidentified images and scans to a case-sharing platform, and tap into a virtual medical hive-mind for insight, diagnosis and suggested solutions. 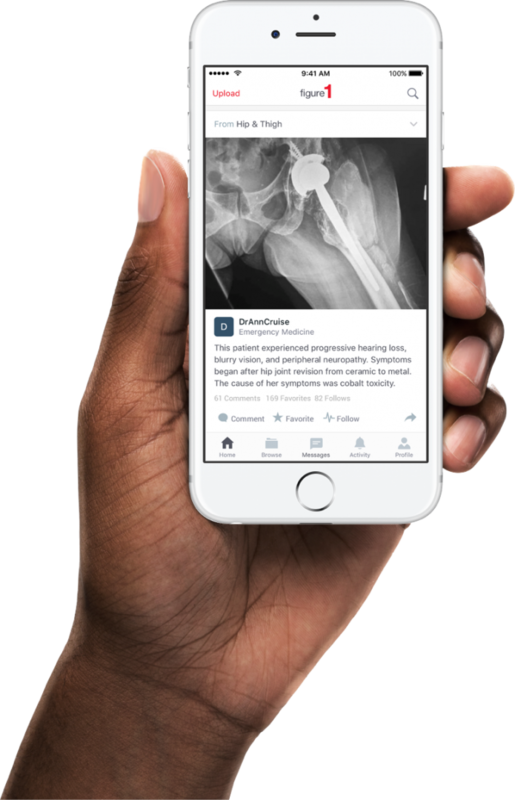 Toronto-based clinical image and knowledge-sharing healthcare app Figure 1, described as an ‘Instagram for doctors,’ has raised $10 million in funding in a round led by Kensington Capital Partners, with additional support from Samsung NEXT Ventures, John Hancock/Manulife Financial, Hedgewood, and WTI. Existing investors Union Square Ventures, Rho Canada Ventures, and Version One Ventures also participated. This is the fourth round of funding for the four-year-old startup and brings its total investment to $23 million. With this new investment, Figure 1 plans to expand their knowledge network, and build upon their case intelligence using artificial intelligence to extract value from the thousands of medical cases in their library, starting with a feature to turn images of electrocardiograms into digital data. The company announced this feature this past weekend at the International Congress on Electrocardiology in Portland. At first, experts will be able to weigh in on the meaning of the measurements, but in the future, more advanced machine learning systems may be able to provide their insight into what readings mean. Privacy is a primary concern when developing a healthcare app that shares medical information. One of the safeguards that protect patients’ identities includes an automatic face-blocking feature for photos. Other safeguards include vetting by the company’s medical officer and a 24/7 moderation team that manually reviews each case for 18 identifiers to ensure an image is deidentified before it goes live on Figure 1. Before anything can be posted, patients must also sign an in-app permission form. In cases where a doctor didn’t get permission to take a photo, he or she can describe what they saw for a text-based post instead. Mental health professionals are also using text-based posts to describe cases. Non-medical professionals can open accounts and can see posts, but cannot post images or comment. Signing up for an account itself is quick and easy – I signed up for a non-medical professional account in less than a minute without any complications. Is Figure 1 saving lives? Success stories on the company blog include identifying the source of a mass overdose due to unidentified pills, where a technician identified the narcotic faster than the on-site forensic chemists and identifying the source of a whiplash-like rash over a toddler’s body as shiitake mushrooms. In a medical emergency, speed to diagnosis is critical. A new feature, called Paging, locates a specialist from the network — using push notifications — to give input on cases. In these instances, the average time for cases solved is 30 minutes, according to Penner. 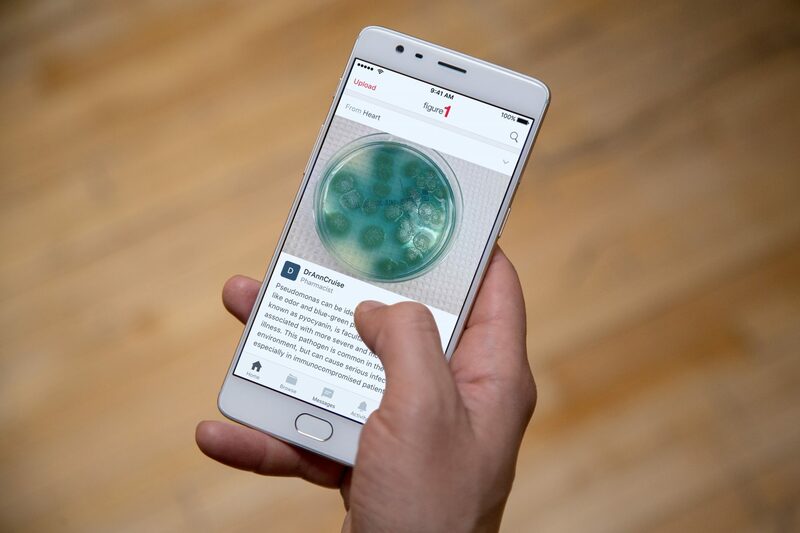 Future applications include cases where many photos are similar, for example, photos of dermatological conditions, or in everyday medical situations like wound care, where doctors routinely observe the same feature on a patient. A smart app could one day take a series of pictures of an injury, and confirm whether it’s shrinking in size without the need for physical measurements, Penner says, adding that company will test any new features it introduces to ensure that they add value to users. For the veterinarians who’ve requested a similar service for animals – there is some hope. “It’s not in our immediate roadmap, but it’s certainly an interesting idea for the future,” concluded Penner. We have all dealt with a situation where one doctor you deal with has different information than the next doctor you see. I guess this helps that. My thought is that if you have the best security system in place, you should license that out to all of the healthcare companies so that EVERYONE’s information is kept safe. This……”healthcare professionals and medical students, we do have a small percentage (under 10%) of medical librarians, hospital administrators….” is what will help this application grow! Sharing your experiences is more than just a social network. Companies, huge corporations and things like that have to be able to share knowledge, secrets and what works with others in the same field. I think its a great way to ensure that everyone is getting the same care. Peer-to-peer help in the healthcare industry is a great idea. I encourage this type of sharing in any niche of course, but for the healthcare, why not? All doctors have different experiences and learn from them differently as well. The monetization is always what kills things like this. For now, the content sponsorship seems like a great idea, but that cannot be the only avenue. It will not work in the long term if it is.